Paint, we’re putting you on notice: Your time might be up. At least for some of us. We know, we know—it wasn’t too long ago that designers were spreading the gospel of a bold-colored accent wall. 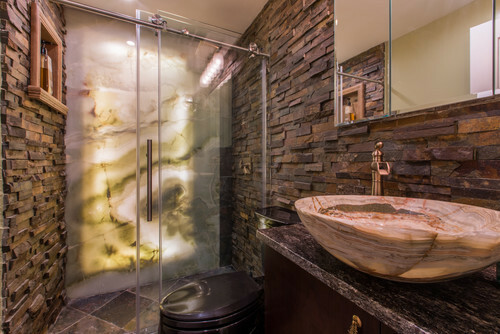 But many of us have taken things to the next level with our wall treatments. First, there was the return of wallpaper. We modernized it and customized it, and we even made it removable. Now, wall treatments have only become more ambitious, but also more extreme. Want a wall treatment that scintillates the senses? Hey, we’ve got you covered! Here are a few ideas that will bring the wow-factor. These days, we’ve successfully made our outdoor space feel like our indoor space. But what if you want to make the inside feel like outside? Then a living wall might be for you. But as good as they may look, the upkeep of these walls might be an expense you aren’t prepared for. It’s a wall that lives! And, um, dies. “Be prepared for routine maintenance if you choose to have a living wall in your home—it’s vital to have a properly functioning irrigation system at all times,” Visco says. Sweating the dollar signs? You can get the same look for less (maintenance) with a moss wall. “It’s sustainable and doesn’t nearly require the same amount of upkeep as a living wall,” Visco says. 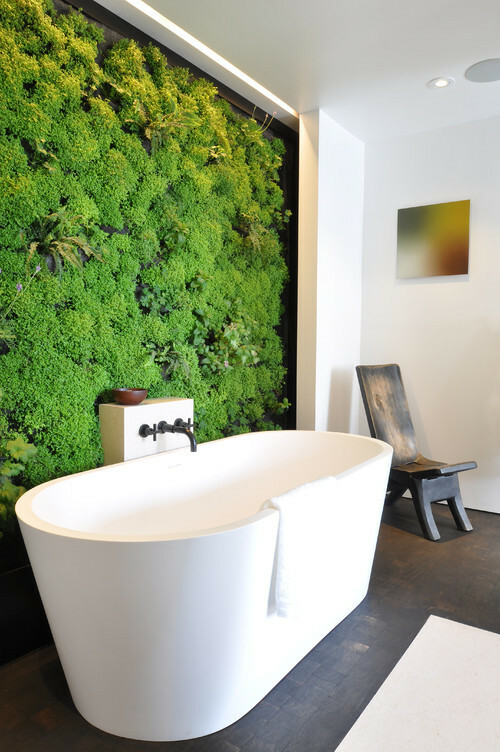 Moss walls are easy to install, too—in fact, some companies have developed a naturally preserved green wall that can simply be hung on any wall. If you want to bring the wow-factor, this look is for you. She recommends installing this wall treatment in a darker space, such as an entryway or guest bathroom. This wallpaper passes the smell test. 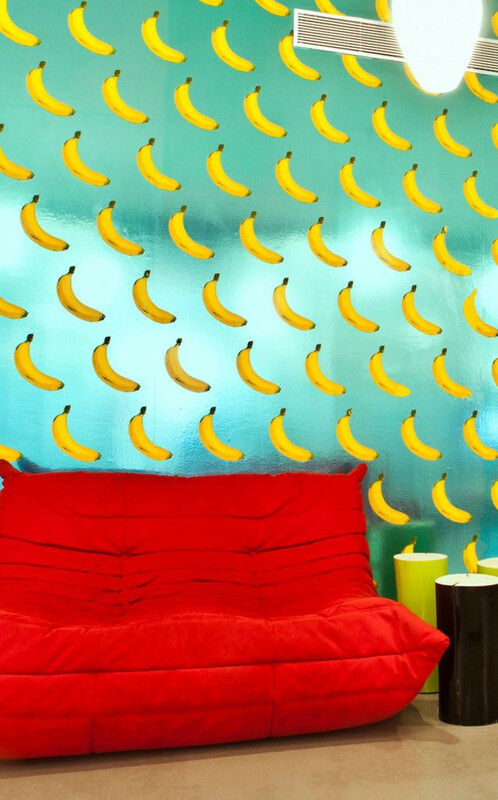 Get ready to live out your Willy Wonka dreams: Scratch-and-sniff walls are now a thing. And yes—it really does have a scent. “For those ’90s babies who remember the scratch-and-sniff stickers your teachers used to put on your C+ papers to make you feel better, this is the wallpaper for you,” Visco says. You can get this design in scents such as cherry, banana, and citrus. No candy paper exists yet—but we can only hope that’s in the works. 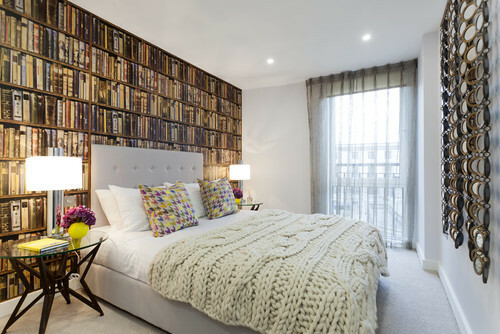 It’s a wall of books, and over there, a wall of wooden crates. Or wait, is it? Nope, it’s just wallpaper! Wallpaper that’s designed to look three-dimensional is surging in popularity, thanks to homeowners looking to bring some drama to their space, Visco says. But buyer beware: This trend might not last long. 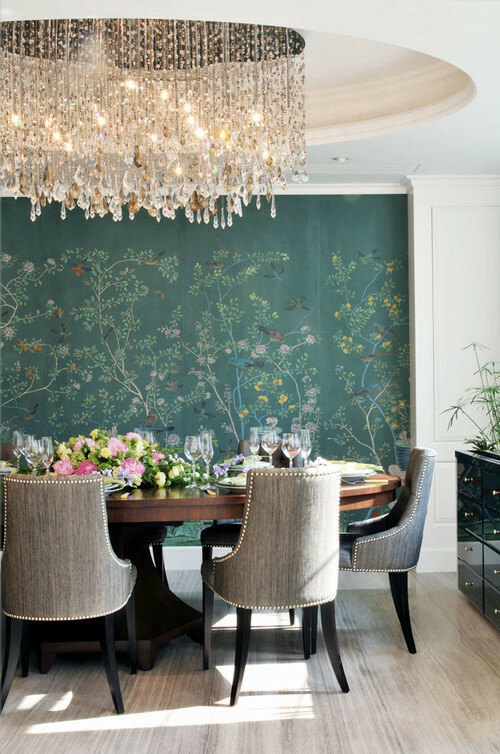 The last time you saw chinoiserie wallpaper was probably at your grandma’s house. But today, it’s making a strong comeback. And it’s no wonder why: This stuff has the power to completely transform any room into a luxe space straight out of an Anthropologie catalog. Consider it for a formal space where you can show it off, such as a dining room or foyer. “This wallpaper looks best in a room with a traditional setting,” Paulino stresses. The post Tired of Plain Paint? 5 Wow-Worthy Wall Treatments That Will Take Your Decor to the Next Level appeared first on Real Estate News & Insights | realtor.com®.